Opposition parties on Wednesday picked on the Bharatiya Janata Party (BJP)-led NDA government at the Centre after Vijay Mallya claimed that he met Finance Minister Arun Jaitley before fleeing India. 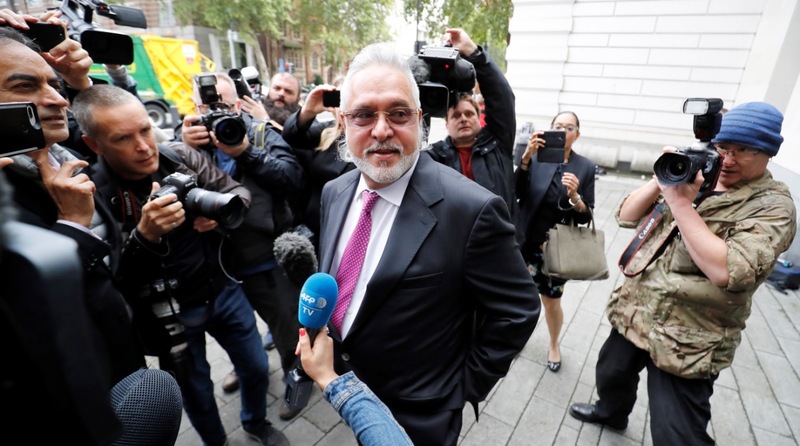 Speaking to reporters outside the Westminster Magistrates’ Court, where he had come for a hearing in his extradition case, the absconding bank fraud accused said that he offered to settle the amount he owed to the banks in his “meeting” with Jaitley. Even though the Finance Minister refuted the claim stating that he never gave any appointment to Mallya, opposition parties took the opportunity to accuse the government of allowing the loot to happen. Communist Party of India (Marxist) general secretary Sitaram Yechury said that Mallya’s revelation is “a fact that all of us had known earlier”. “They (the government) have to own up to the fact that they allowed this loot to happen and the fact that they are allowing this loot to happen, more are looting,” he added. “Congress has been repeatedly asserting for last over 18 months that not only Vijay Mallya but Nirav Modi, Choksi and many others have been allowed with impunity,” ANI quoted him as saying. In response to Congress’ accusations, Jaitley said that the party has made “telling lies its brand of politics”. Delhi Chief Minister Arvind Kejriwal described Mallya’s claim as “absolutely shocking”. “PM Modi meets Neerav Modi before he flees the country. FM meets Vijay Mallya before he flees India. What transpired in these meetings? People want to know (sic),” Kejriwal said. Former BJP leader and Union Minister in the Vajpayee government Yashwant Sinha said that the entire BJP leadership should “come clean” on their “relations” with the fraud accused. “Not only the finance minister, the entire BJP must come clean on its relations with Vijay Mallya,” he wrote on Twitter. Reacting to his allegation, Jaitley said that Mallya’s statement is “factually false”. Jaitley said that he has not met the 62-year-old former Kingfisher Airline boss since 2014 but added that Mallya had “misused” his privilege of being a Member of the Rajya Sabha on one occasion. “Since 2014, I have never given him (Mallya) any appointment to meet me and the question of his having met me does not arise,” said Jaitley. Recalling the occasion when Mallya “misused” his position as an MP, Jaitley wrote that the fraud accused had paced up to catch up with him when the FM was walking out of the House to go to his room.